CONSTRUCTION – De Haas Maassluis B.V. When building our specialized vessels, we use concepts developed in recent years as a starting point. Standard hull shapes, constructions and engineering form the basis for patrol vessels, emergency response vessels, crewtenders and other specialized vessels. Proven techniques that are adapted to the client’s requirements. 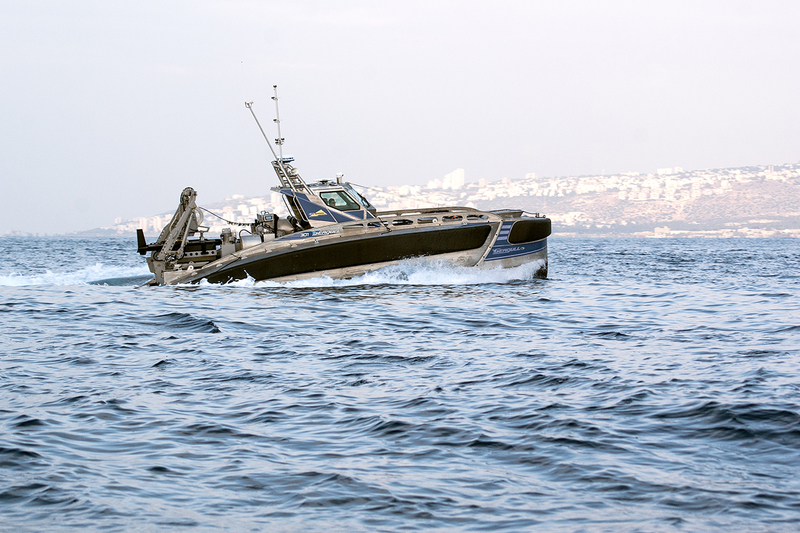 We also design and build vessels tailored entirely to the client’s specifcations. 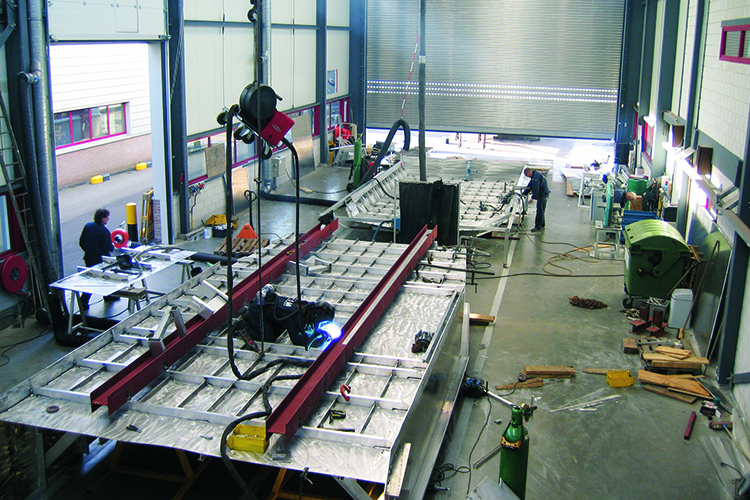 At De Haas Maassluis, the construction of a new vessel does not start with steel and welding, but with an idea. Your idea. After all, you are best placed to decide what should be expected of your vessel. We build according to the scope and specifications, but of course, your wishes and requirements are also a decisive factor in the conceptualization, design and construction of each new vessel. Our program for newly constructed vessels is aimed at developing a durable standard for our clients, based on mutual know-how and experience. The vessels are built according to a unique conceptual method, based on extremely high quality technology, excellent user-friendliness and comfort. We work in an innovative and efficient manner, which allows us to supply the widest range of vessels in a short time frame, in accordance with your requirements. Our shipyard is the leading address for the most cost-effective tenders. A good price is just as important as quality criteria like customer focus, sustainability and project management. Once all wishes and requirements are clear, we will draw up a draft plan for the vessel. 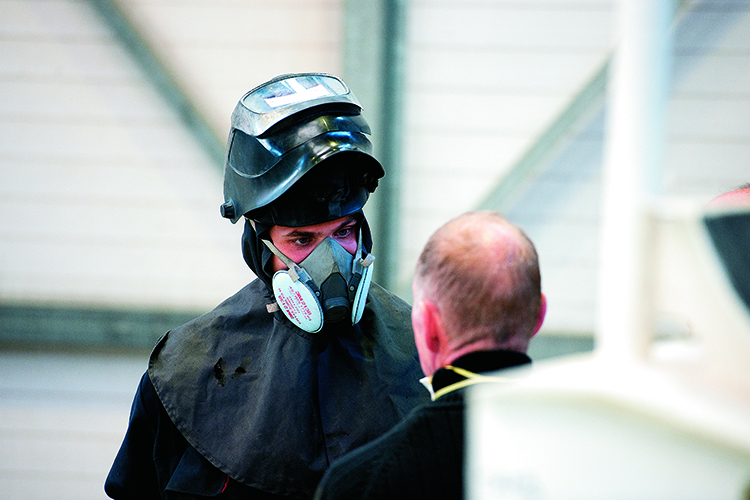 During this phase, we will also consult classification agencies and testing bodies. This will allow us to optimize the process and the total time it requires. Our designers and engineers will translate the results of the initial exploration into a clear design vision and then into high quality 3D models which, in this phase, will be optimized to reach the ideal design. The creation of added value is a core theme once again. This added value will result in cost savings, emission reductions and optimum user comfort. Once all adaptations and additions to the draft plan have been made, the design is checked and calculated by MARIN. If the results of the calculation give cause to do so, which is regularly the case with fast vessels, a scale model of the vessel’s hull will be built and tested. After all, reliability and performance are decisive factors for all vessels. We will only start compiling the construction plan once we are sure that the to-be-constructed vessel complies with all safety and functional requirements. In this plan, the vessel is ‘subdivided’ into various components as efficiently as possible, in order to allow cost effective and fast construction. At the end of this phase, the ideal vessel will be ready on paper. In the construction phase, all components in the construction plan are made and processed and are then expertly mounted and finished at our shipyard. This is a complex process involving various parties, technologies and deadlines. De Haas Maassluis will use its insight and experience to supervise all activities and will ensure that all facets of the construction process fit together perfectly. The new vessel will be finished to the finest detail at our shipyard. Your custom-made vessel will be then ready for use. You will be certain that your vessel has been manufactured with the highest level of usability in mind. And since we design and build the vessels ourselves, we are perfectly placed to perform all maintenance and repair work as efficiently as possible. The vision and technology which we have used for the construction of new vessels over all these years, have proved their worth. 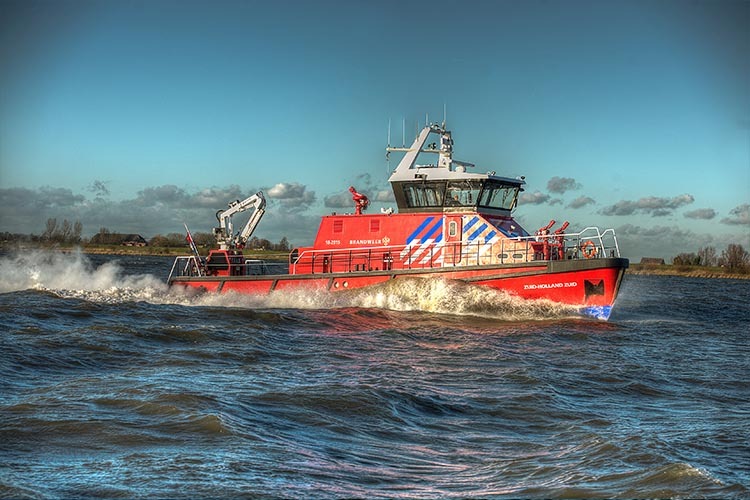 The other day, we delivered three patrol boats for the Rotterdam Seaport Police and we have just started working on an order for developing and supplying ten vessels for Rijkswaterstaat (the implementing body of the Dutch Ministry of Transport, Public Works and Water Management). Below you will find a table of our vessels and their (expected) completion dates. Three recent examples of our activities. 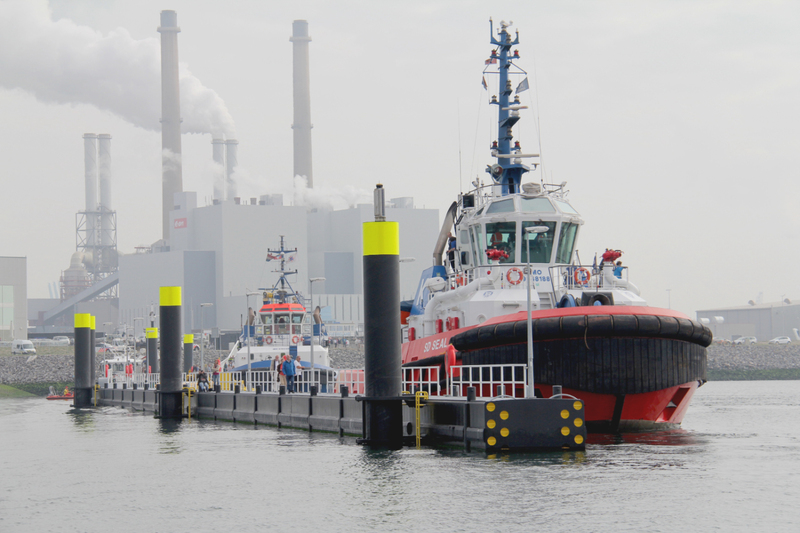 For the most part, the success of De Haas Maassluis can be attributed to the fact that we always think ahead and design and implement innovative techniques. 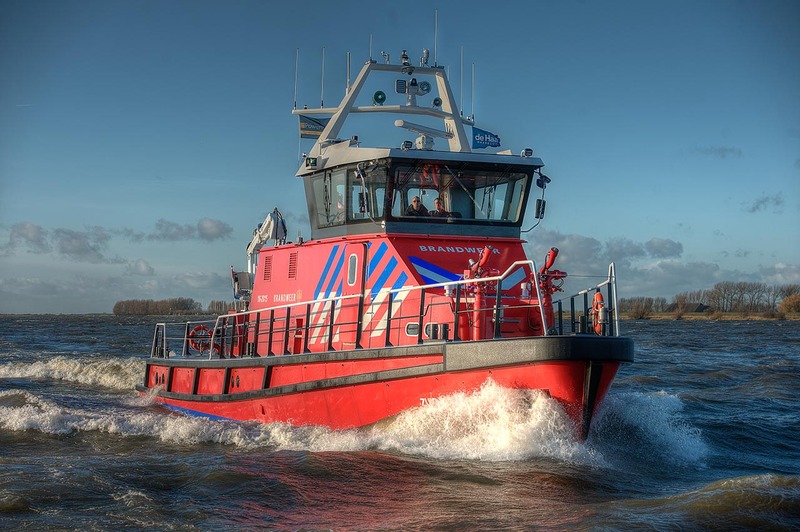 Even today, this strategy is paying dividends that can be witnessed in innovations such as: carbon contour propellers, the unique glued and seamless pilothouse and the ability to use the characteristics of aluminium for steel hulls. When developing new ships, we work closely with the MARIN scientific institute in Wageningen. This is where scale models (1:5) of new ships are thoroughly subjected to extreme testing. This helps to eliminate unpleasant surprises further down the line.